Martin L. Camp is the Assistant Dean for Student Affairs and Adjunct Professor at the SMU Dedman School of Law. After five years as an associate at Hughes and Luce in Dallas and Austin and twenty plus years as a partner at Jones Day in Austin, Kuwait and Dallas I returned to SMU Dedman School of Law in 2005 to teach and serve as Dean of Students. 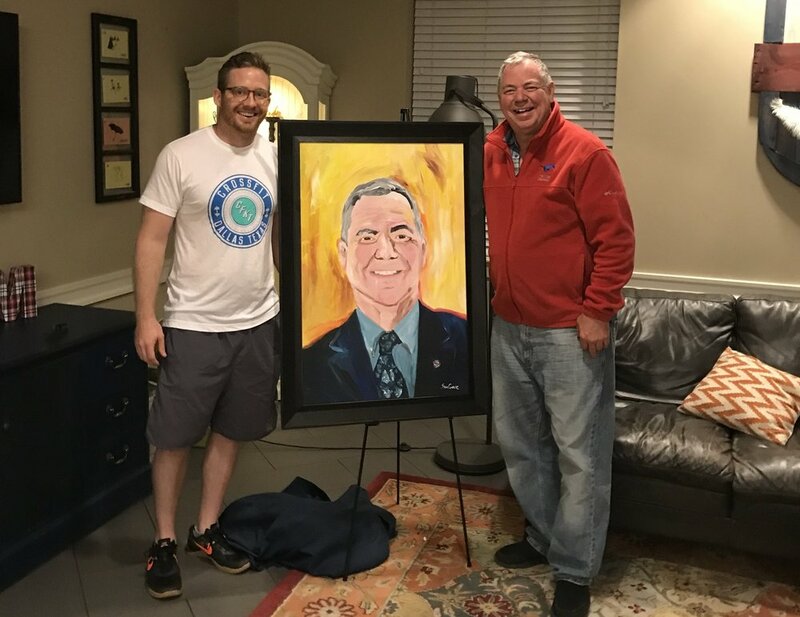 Dean Camp with artist and first RCD of Crum Commons, Sam Gavic.A Crum Tradition to have the portrait of each Faculty in Residence. Our Faculty in Residence, Dean Martin Camp, is a 1979 graduate of SMU Dedman School of Law. He was a partner in the international Law Firm, Jones Day for 20 years before returning to SMU to be the Dean of Students at the Law School in 2005. On June 1, 2015 he assumed his present position as Assistant Dean for Graduate and International Programs at the law school. He also loves to cook and many of his Traditions revolve around food and fun. And be careful, he has a passion for singing so don’t tempt him or he may just bust out in song at any moment. You can often find him sitting outside in front of his apartment in the mornings with coffee or in the evenings. Additionally, he is the author of a children’s book, Why Alligators Don’t Have Wings, and hopes to publish other children’s books in that series. The entire story is framed for all to read along the hallway leading to his apartment. 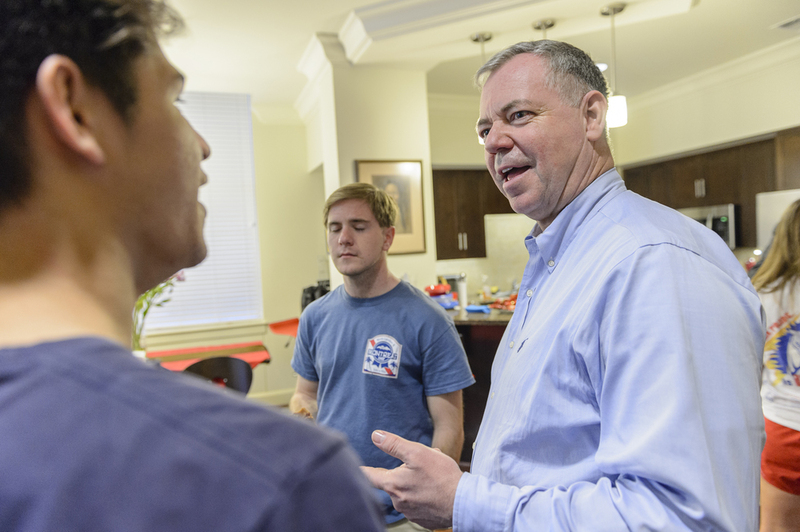 The story has an incredible moral that every Crum Fellow can hope to live up to.